Dr. Janke received her B.A. in Psychology from St. Olaf College and her PhD in Pharmacy Administration from the University of Minnesota. Dr. Janke has held various administrative appointments at the University of Minnesota College of Pharmacy, including Assistant Dean for Educational Development (2002-2007) and Associate Dean for Assessment & Curricular Development (2008-2010). She is currently the Director of the Wulling Center for Innovation & Scholarship in Pharmacy Education at the University of Minnesota. In this role, she works with faculty, graduate students and residents to address educational challenges by facilitating the formation of research teams and the implementation of scholarly initiatives. Dr. Janke’s scholarly interests include: implementing unique methods for student leadership development, enhancing assessment practices in colleges/schools of pharmacy and broadening publication options for educational scholarship. In addition, She teaches pharmacy students in the leadership emphasis area, residents in the Pharmaceutical Care Leadership Residency and graduate students in the Social and Administrative Pharmacy Graduate Program. In 2007, Drs. Sorensen, Traynor and Janke launched the Leadership Emphasis Area within the Pharm.D. program, which involved the design of five new courses and a new Advanced Pharmacy Practice Experience (APPE). Dr. Janke has functioned as the instructional designer for the team, identifying resources and developing new learning activities for the leadership curriculum. Currently, Dr. Janke takes primary responsibility for Leadership Bestsellers (Phar 6941) and Leadership Capstone (Phar 6942), as well as serving as an emphasis area advisor and supporting students during the Leading Change Experience (Phar 6939/6940). In addition to teaching in leadership, Dr. Janke enjoys supporting student leadership development outside of the classroom. Since 2010, she has served as Co-Advisor, with Dr. Michael Swanoski, for the Alpha Phi Chapter for Phi Lambda Sigma. In addition, she served as Chair of the Leadership Development Special Interest Group at the American Association of Colleges of Pharmacy (AACP) from 2011-2013 and continues to be active in its committees. Dr. Janke is a member of the College of Pharmacy’s Center for Leading Healthcare Change. Dr. Janke has a passion for evolving student learning and programmatic assessment. 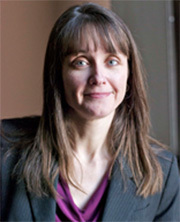 She served as Chair of the College’s Assessment Committee (2002 to 2009) and Chair of the College’s Professional Program’s Accreditation Self Study (2007-2009). During this time, she worked with faculty colleagues to launch the PharmD Program’s Continuing Professional Development (CPD) e-portfolio initiative, as well as the College’s first Objective Structure Clinical Examination (OSCE) and its first curricular level milestone test. In addition, she was responsible for mission-based programmatic assessment, developing assessment plans for professional education, research & graduate education, clinical affairs and outreach/service. Dr. Janke has been active in advancing the practice of assessment in pharmacy education. She has collaborated with colleagues on papers related to: the role of assessment in curricular transformation, the development and use of assessment communities of practice, needed competencies for assessment leads and re-envisioning assessment in the accreditation standards. She is a member of the Big 10’s “CIC-PAC” (now BTAA-PAC), an assessment collaborative for pharmacy assessment professionals. In addition, she is a Site Visitor for the Accreditation Council for Pharmacy Education (ACPE). Dr. Janke’s work in continuing education extends back to her service as a Board Member on the Canadian Council for Continuing Education in Pharmacy in the 1990s. Dr. Janke has served as the Director of Continuing Education at the University of Minnesota College of Pharmacy (1998-2009) and on the Accreditation Council for Pharmacy Education (ACPE) Continuing Education (CE) Commission (2007-2013, Chair 2007-2008). Dr. Janke has been an advocate for Continuing Professional Development in pharmacy curricula, having designed and implemented initiatives in both the core and leadership curricula at the UMN-COP. From 2013-2017, she was a member of the ACPE Continuing Professional Development (CPD) Steering Committee, which has the goal of facilitating further profession-wide implementation and adoption of the CPD concept and approaches. Dr. Janke received the 2012 Lyman Award for best paper in the American Journal of Pharmaceutical Education. She has also received the AACP Innovations in Teaching Award (2010 and 2015) and the AACP Award for Excellence in Assessment (2012). In 2011, Dr. Janke was inducted into the University of Minnesota Academic Health Center’s Academy for Excellence in the Scholarship of Teaching and Learning. In 2018, Dr. Janke received the Distinguished Teaching Scholar Award from the American Association of Colleges of Pharmacy. Phar 6941: Leadership Best Sellers, Phar 6942 Leadership Capstone, Phar 6939/6940: Leading Change Experience, Phar 6715: Career & Professional Foundations I.